This is just about as low as you can get. 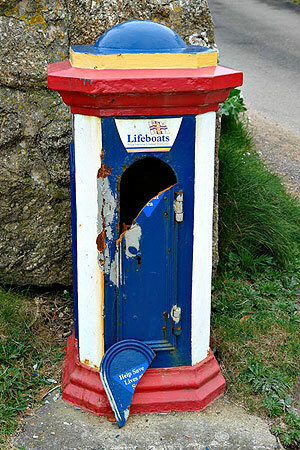 The almost unique RNLI collecting box at Porthgwarra Cove has been vandalised again. The box is emptied weekly and there would have been very little money in it - what sort of low-life does this ?